Jackson Hole is a vibrant, active community with a vast array of exciting things to do. The Wort Hotel’s downtown location offers the perfect place to experience everything Jackson Hole has to offer. Walking distance from The Wort is shopping, dining, museums, art galleries, live music and dancing. The Jackson region is known internationally for its amazing outdoor opportunities. Hiking, fly-fishing, white-water rafting, world class skiing & snowboarding, and wildlife tours in Yellowstone and Grand Teton National Parks are only some of the activities available to our guests. Our friendly staff and concierge service will gladly share their inside knowledge about all of the things to do in Jackson to ensure your stay at The Wort Hotel provides a complete Jackson Hole experience. Explore the backcountry at your own pace, no experience is necessary. If you can walk you can snowshoe! Get away from the crowds and explore your national park today with a professional and knowledgeable backcountry guides. All equipment provided. Cross-country ski with a naturalist guide beneath the majestic Tetons. The valley offers many professional guides that will teach you about the history and geological aspects of the area. Equipment is available to rent. Jackson is known for having world-class mountain biking for all levels throughout the valley. From the continued expansion of trails at Jackson Hole Mountain Resort and Snow King Mountain to local favorites on Teton Pass, Jackson has riding for every level rider. Whether it's float fishing, wading or horseback adventures, every trip is designed around each guests' goals in areas loaded with majestic scenery and wildlife. The friendly and experienced guides are great at instructing and getting you onto fish, while also keeping you safe with the highest safety and training standards in the industry. Hiking in Jackson Hole is hard to beat, from river walks to boulder scrambles to mountain panoramas. We can help you choose from the area's best hikes and clue you in on what to know before you go, or if you are unfamiliar with the area, we can set you up with a hiking guide. No trip to Jackson Hole is complete without embracing the Cowboy States’ favorite pastime, horseback riding. 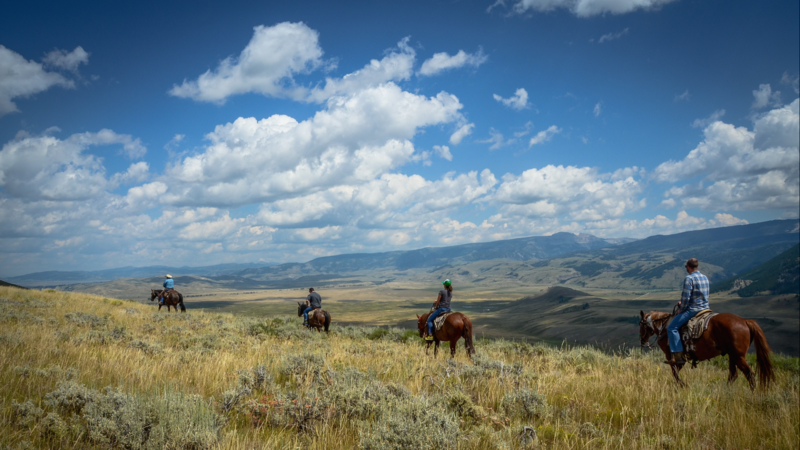 With many outfitters around the valley, Jackson Hole is a great place for passionate riders and for those who are wanting to experience a horseback ride for the first time. To learn more or to book any of these activities for your upcoming vacation, please get in touch with our concierge.